Sauber has launched a junior team that will compete in four junior categories in 2019. The Swiss team's move follows the likes of Mercedes, Ferrari and Red Bull, who have had young drivers signed to their programmes for several years. Sauber already has a rich history of developing young talent – the likes of Kimi Raikkonen, Felipe Massa and Sebastian Vettel were all handed Formula 1 debuts by the team, with Charles Leclerc their latest rookie in 2018. Leclerc will graduate to Ferrari next year, having been a member of the Scuderia's junior programme previously, but Sauber have now set sights on unearthing their own future stars. Sauber's junior team will partner with Charouz Racing System – a big name in junior racing – to run in Formula 2, Formula 3, ADAC Formel 4 and the Italian F4 Championship with matching liveries. 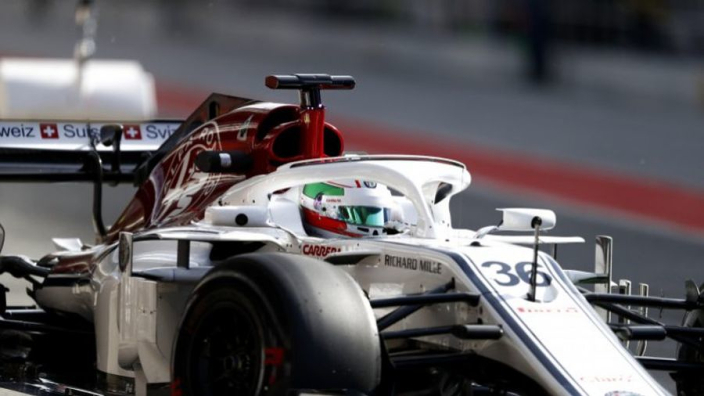 Sauber CEO Fred Vasseur said: "Racing is a vital part of Sauber Motorsport's DNA and the Sauber Junior Team marks an important milestone in the company history. "Sauber has a long tradition of helping drivers reach their full potential, having worked with the likes of Michael Schumacher, Sebastian Vettel and upcoming star Charles Leclerc. "With this project, Sauber further extends its racing platform with a complete and dedicated programme from the junior series to the pinnacle of motorsport. We are delighted to partner with Charouz Racing System, a highly professional team that operates with success in all the series."